Size Inner dimention 13″ x 10.2″ (LXH). Outer dimensions 15″ x 3.5″ x 23″ (LXBXH inches). 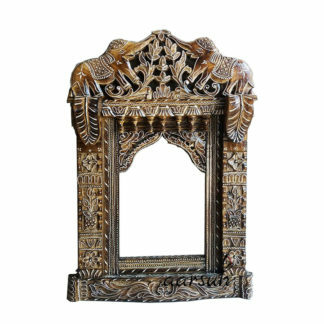 Jharokha rajasthani Style Wall Hanging Frame Handmade by skilled artisans in traditional floral carvings and hand finish. 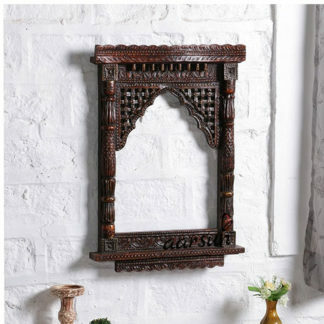 Aarsun Woods provides a range of designer Wall Hanging with Traditional Rajasthani Style Decor that enhances the decor of your home. 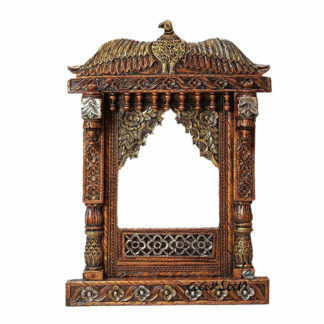 Gift your near and dear ones a perfect piece of art which resembles the rich Indian heritage.